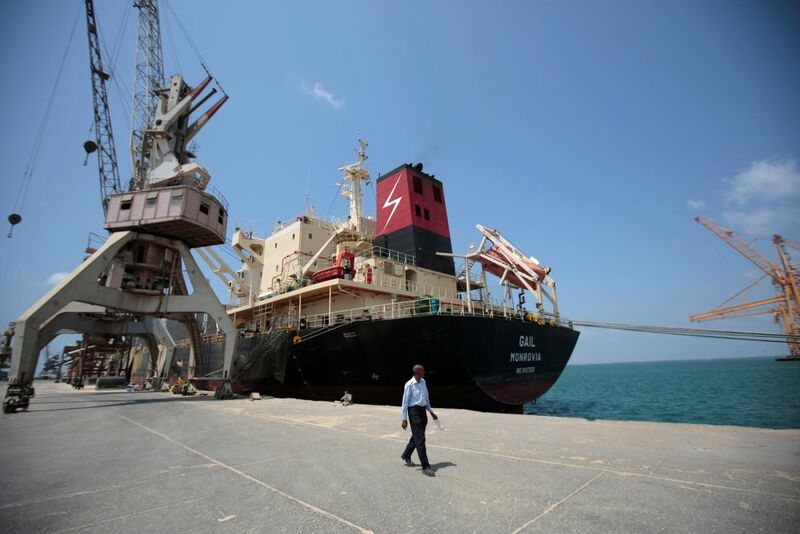 With American backing, the United Arab Emirates has resumed an all-out offensive aimed at capturing Yemen's most vital port, Hodeida, where Shiite rebels are digging in to fight to the last man. Thousands of civilians are caught in the middle, trapped by minefields and barrages of mortars and airstrikes. 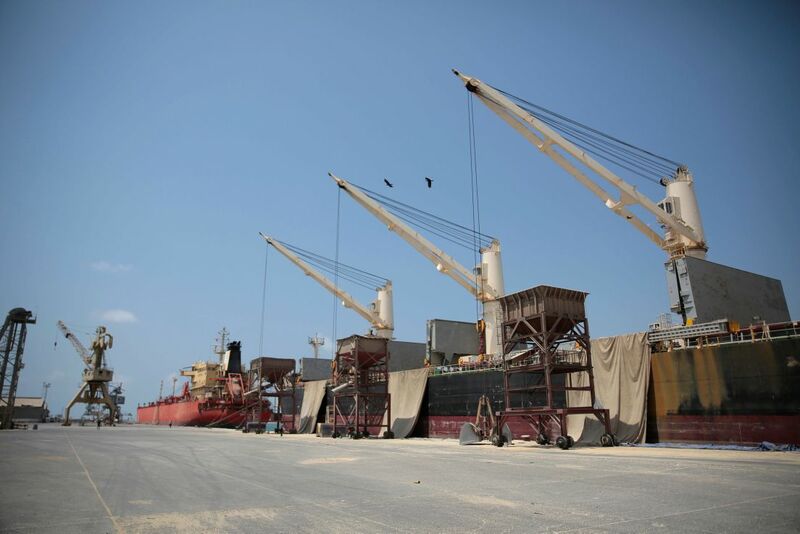 Hodeida's port literally keeps millions of starving Yemenis alive, as the entry point for 70 percent of food imports and international aid. 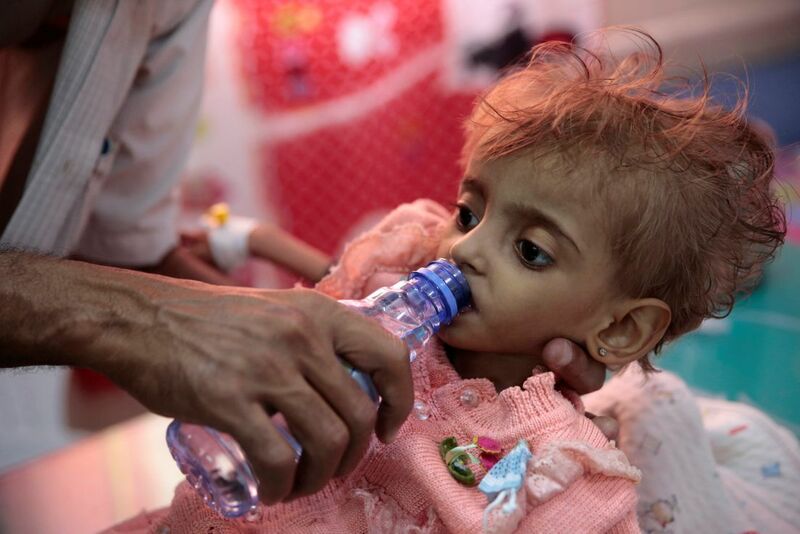 More than 8 million of Yemen's nearly 29 million people have no food other than what is provided by world relief agencies, a figure that continues to rapidly rise. The United States effectively gave a green light to push ahead when Secretary of State Mike Pompeo on Sept. 12 certified continued American support for the Saudi-led coalition's air campaign against the Houthis. The coalition has come under heavy criticism for its relentless airstrikes since 2015, which U.N. experts say have caused the majority of the estimated 10,000 civilian deaths in the conflict and could constitute a war crime. Several strikes in August killed dozens of children. But the resulting war has pushed Yemen into the world's worst humanitarian disaster, fragmentation and chaos. Hodeida's fall would cost the rebels a major source of income, since they heavily tax commodities and aid coming from the port. That cash has helped them finance their fight and the iron fist they wield in their territory. But if the Houthis won't negotiate, the coalition faces an even tougher fight into the rebel-held north. It took two years for the coalition to reach Hodeida, so "how many months or years will it take for this same collection of — often competing and opposed — militias to make their way through Yemen's mountains toward the capital of Sanaa?" said Michael Horton, a fellow at the Jamestown Foundation. 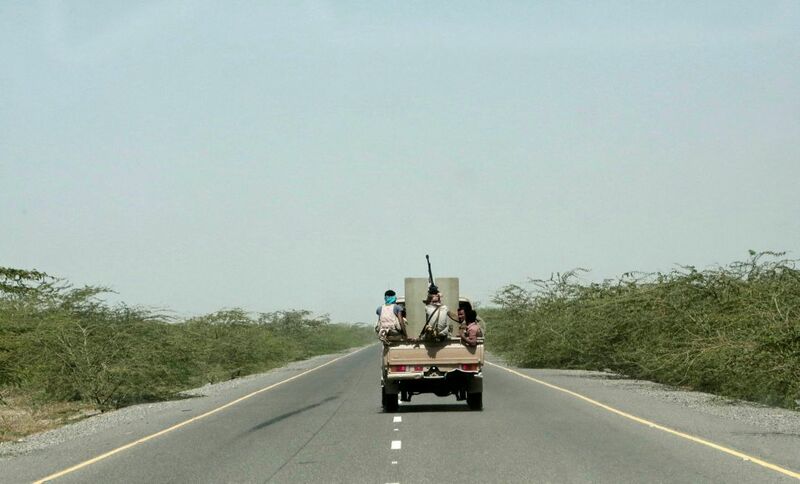 The two sides have pounded each other for months, as some 22,000 UAE-backed Yemeni fighters inch across the flat coastal plain to the city's edges. The force is mainly made up of militiamen from the south or the Hodeida area, backed by tanks and coalition warplanes. They face an estimated 5,000 Houthi fighters. "We find vast lands littered with the bodies of the Houthis, many charred from airstrikes," said Mansour al-Lahji, another Emirati-backed militiaman. "THE WORLD TOPPLED ON OUR HEADS"
Thousands of civilians have been caught in the middle, unable to escape their homes because of heavy bombardment by both sides and the Houthis' minefields. Houthis in the district have buried dead fighters and civilians in mass graves, the official said. "When one grave is full, they dig another," he said, speaking on condition of anonymity for fear of reprisals. Saadia Ibrahim, a grandmother in her 60s, said that as her family fled their village, a Houthi mortar hit near their home, killing three of her relatives. As they drove off, another explosion — she doesn't know what it was — blasted the car, killing four more and throwing her through the air. Wounded by shrapnel, she was rescued by one of her sons on a motorcycle and taken to Bajil, a nearby town crowded with families fleeing the fighting. "We fled right and left, and then the world toppled on our heads," she said. More and more Yemenis are starving simply because they can't afford to buy food in an economy that has been demolished by fighting, airstrikes and a coalition blockade. With the currency in freefall, the U.N. has warned that soon another 3.5 million people will need international aid. 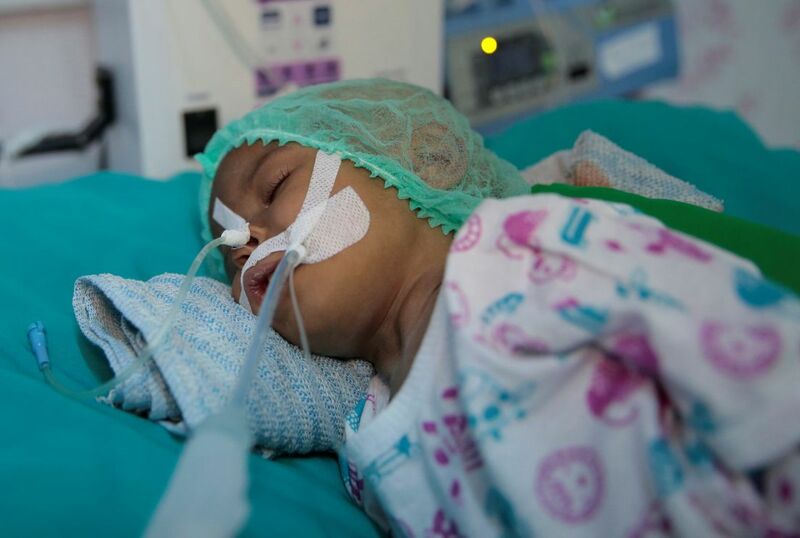 Hodeida's fighting has endangered the lifeline. The battle at Kilo 16 forced aid supplies to take longer routes out, slowing deliveries. Also, aid agencies can't reach the nearby Red Sea Mills, one of Yemen's largest granaries, where enough grain to feed 3.5 million people for a month is stored. Notably absent from the fight to take Hodeida are the forces of Hadi's government — the government that the coalition says it aims to restore. Several pro-Hadi officials told the AP that the UAE squeezed him out. "The government knows nothing about what is going on in Hodeida," one senior official said. "It's all in the hands of the Emiratis." He and the other officials spoke on condition of anonymity because of the sensitivities of relations with the Emirates. Mistrust runs deep between Hadi's government and the UAE, which has set up military bases across southern Yemen and controls much of the south through the militias it funds. Some Hadi allies accuse the UAE of seeking to impose its own dominion over Yemen — and see the assault on Hodeida as adding another piece to its hold over the country's coastline. The fragmentation has sent a message to Yemenis living under the Houthis' repressive rule that the alternative may not be much better. "Many Yemenis resent what they see as a neo-colonial land and resource grab," said Horton. "Both Saudi Arabia and the UAE have carved out spheres of influence."